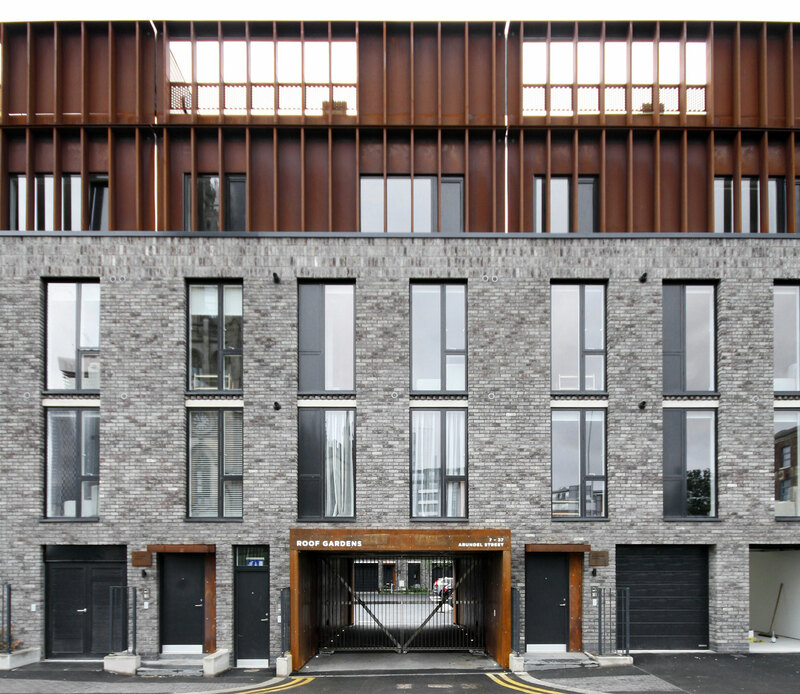 The project consists of 71 dwellings, a mixture of townhouses and apartments. 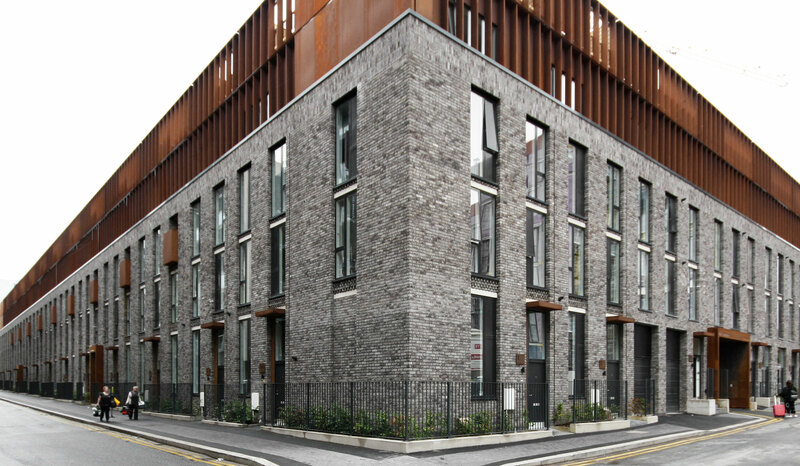 Situated on the edge of Manchester city centre the site is approximately 0.4 hectares in size. 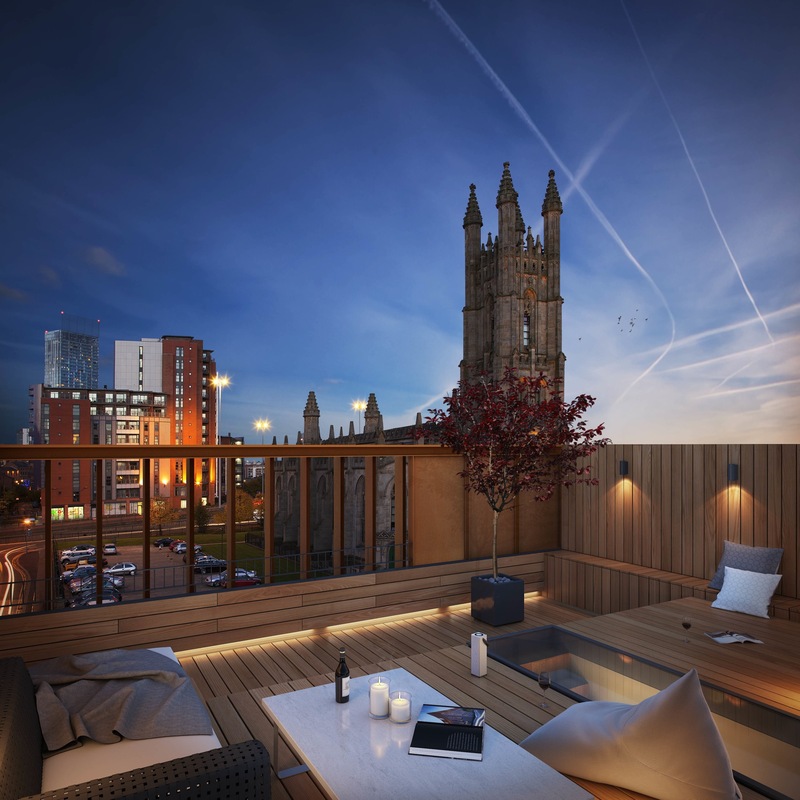 It is located adjacent to the Castlefield Conservation Area and to its eastern side is the grade II* listed Church of St George which has been converted to apartments. Further along Ellesmere Street to the West are a number of old mill buildings built circa 1850, most of which have been converted to apartments. The project delivers a perimeter block layout to the site which follows the form of the local area. 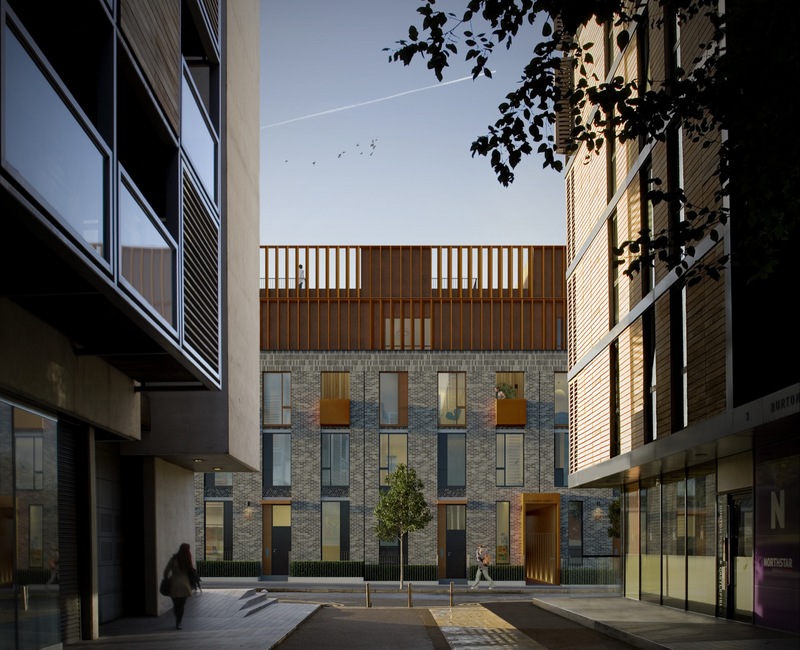 Three and four storey townhouses are placed next to each other giving the impression of one larger building which fills the site. 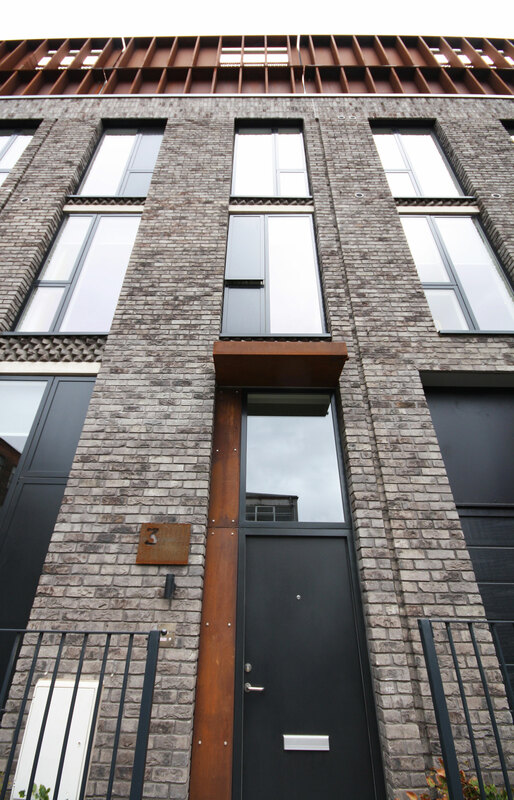 Dwellings have their own front door facing onto the surrounding streets and are set back from back of pavement behind metal railings and planting. 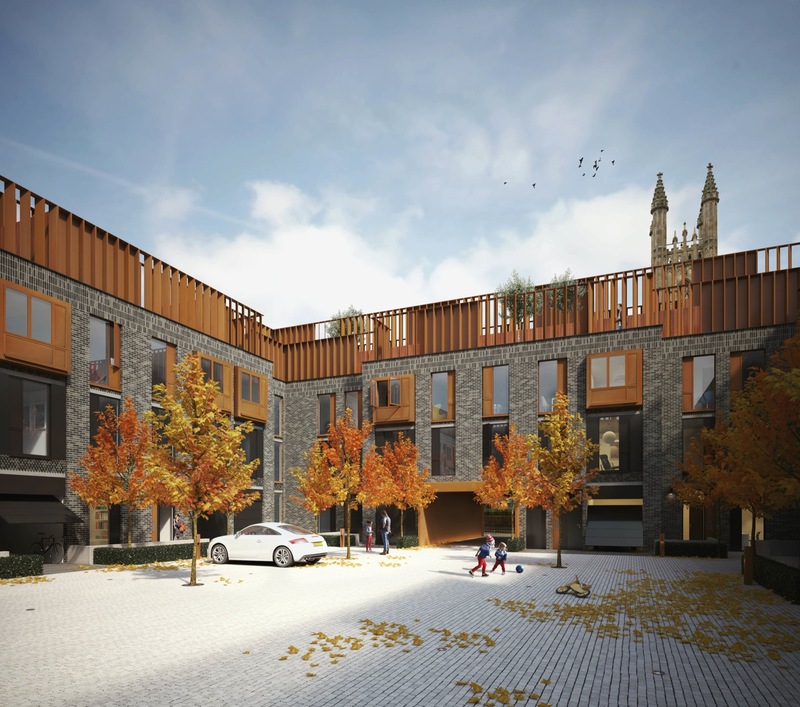 Two central courtyards are created within the centre of the site providing secure private space for parking and amenity. The height of the proposed development is very similar to a number of the older mill buildings along Ellesmere Street. 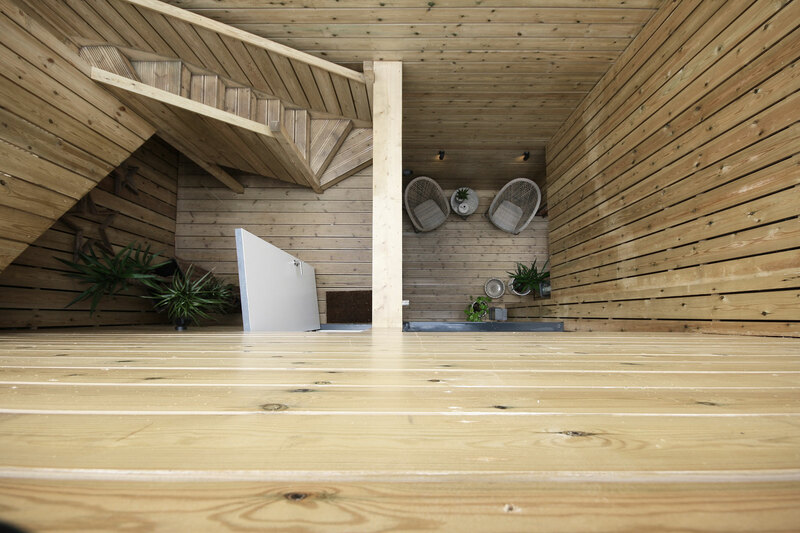 Each townhouse has it’s own roof terrace where privacy is maintained from the adjacent apartment buildings by the inclusion of a storey high louvred screen. This screen also gives the proposed scheme more presence by making a four storey townhouse appear five storeys tall. In a more urban setting with narrower street widths the light levels are better higher up. 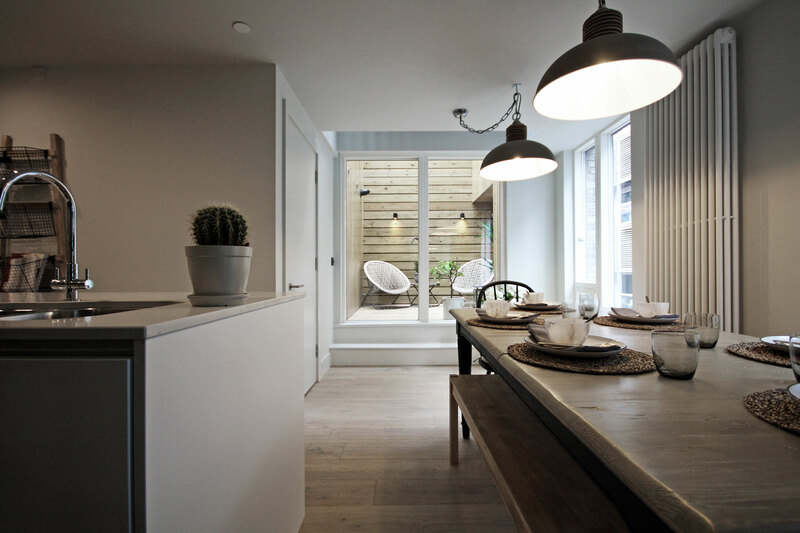 With this in mind we have inverted the typical townhouses accommodation. 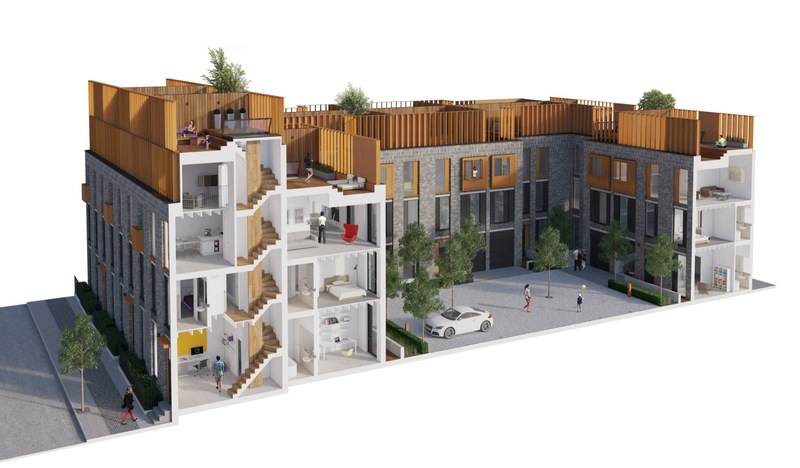 Bedrooms, garages and home offices are located on the lower two levels with living accommodation above and a roof top garden. 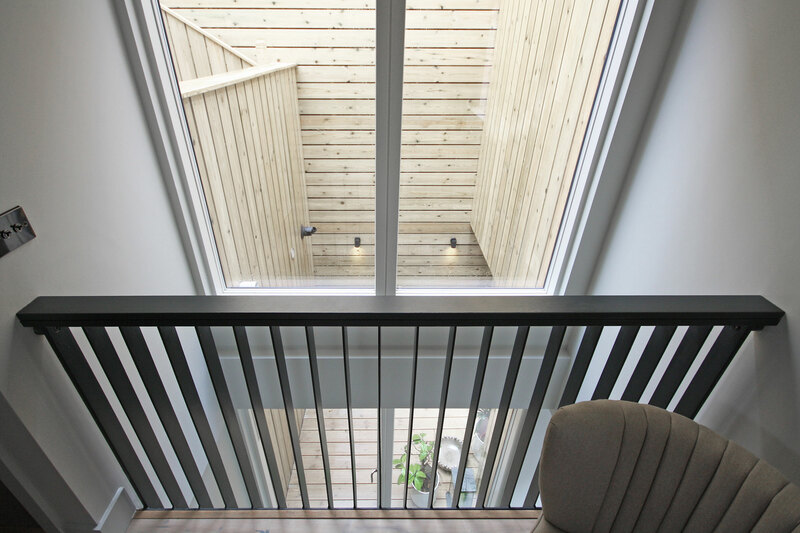 Townhouses that front onto the internal courtyards all have an integral garage space for one car.